The Shuba Mag has released the first issue this year and we are with our editorial part of it. 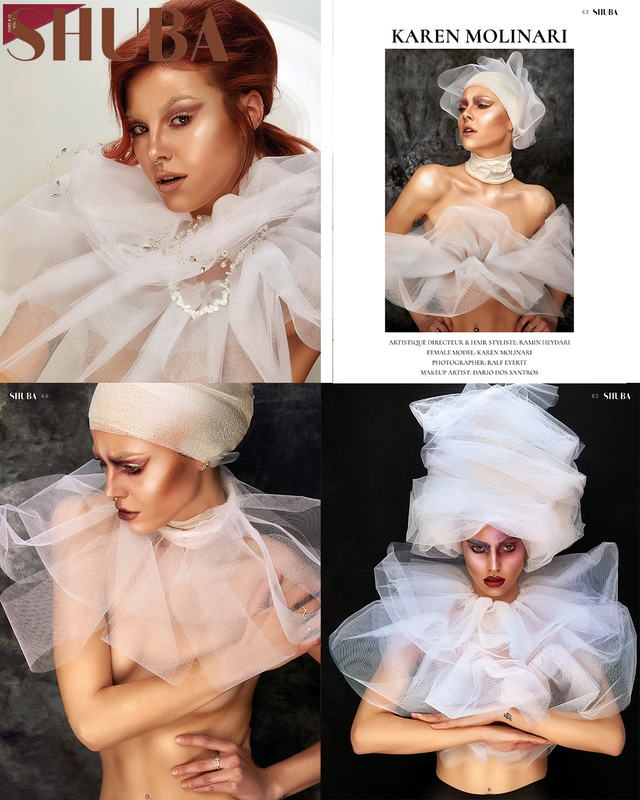 This editorial was created in collaboration with Ramy Heidary and Dario Dos Santos. 2 creatives who are opening up a whole new perspective on Creative Art. Dairo with his very creative style in the area of make-up and Ramy in his partly oriental point of view in the area of hair and styling. You can be curious what will happen here. Our model for this editorial was Karen Molinari. Karen has birthdays today. A great birthday surprise.